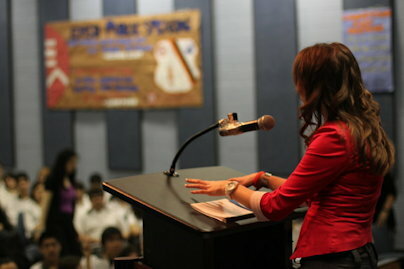 Many people who present or perform may experience the anxiety of stage fright or public speaking fear. 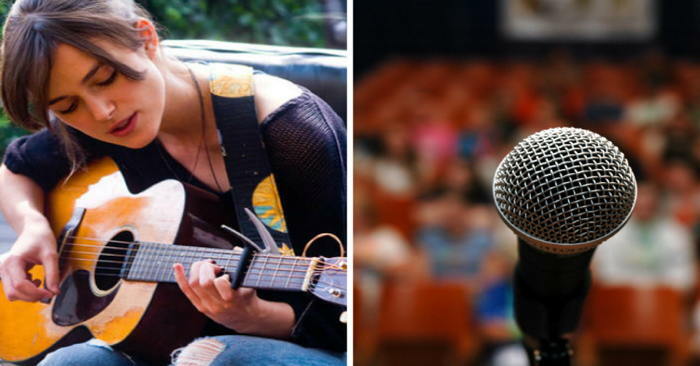 Even very talented and accomplished actors, musicians and other performers can experience various kinds of stage fright or anxiety. Read more in the “Voice Coaching” section below. 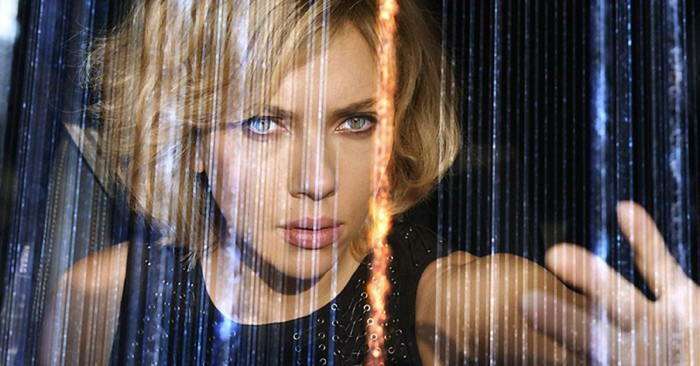 Scarlett Johansson is another artist who is very dynamic and self-assured on-screen, but has said she feels panic when thinking about performing her songs live. The actor and singer collaborated with Pete Yorn for their ‘Break Up‘ album. “I have terrible stage fright. I’ve never had to sing in front of a live audience, other than some back-up vocals. From article: Scarlett Johansson and Eric Maisel on stage fright. Johansson has talked about being sensitive: “I think I was born with a great awareness of my surroundings and an awareness of other people… Sometimes that awareness is good, and sometimes I wish I wasn’t so sensitive.” – From post: Actors and High Sensitivity. I don’t know if she is someone with the personality trait of high sensitivity, but in addition to helping fuel creativity and a richer experience of life, being highly sensitive can make us more vulnerable to emotional overwhelm, anxiety, self-criticism and other issues – so it can increase performance anxiety. One related article: Ranking and Self-Esteem. From article Performance Anxiety by Jennifer Hamady. She adds, “Its management is the subject of a thousand books, workshops and programs that teach how to deal with and mitigate its effects… how to ride its wave rather than have it come crashing down upon you. “Yet only a fundamental shift in how performance anxiety is perceived will allow you to overcome and indeed, transcend it. This shift begins by considering how the majority of us view stage fright: as a barrier between a performer and an audience. 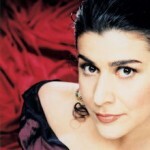 She is author of the book: The Art of Singing: Discovering and Developing Your True Voice. Comments by Hugh Jackman and Anne Hathaway (in my video above) about feeling anxiety during their work on “Les Miserables” are from the video: Les Miserables: Performance Anxiety (from the Los Angeles Times Envelope Screening Series). According to an article, Jackman “has struggled with fear and anxiety throughout his film career. “I said, ‘I want some help. I got this job, and sometimes in front of the camera I can’t feel as relaxed as on stage,'” said Jackman in an interview with The Hollywood Reporter. 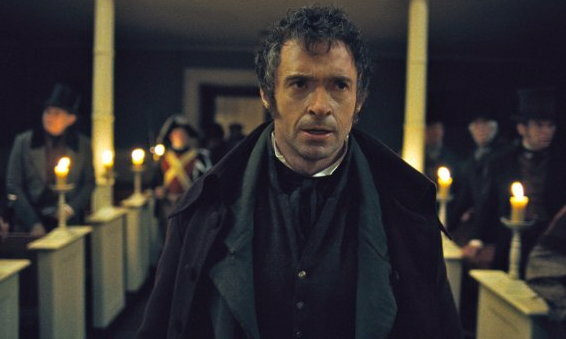 From Hugh Jackman turned to self-help and self-dehydration to shape an Oscar-nominated performance in ‘Les Miserables’ By Bryan Enk. Other artists and psychologists have talked about the value of using, rather than trying to suppress, fear and other strong feelings. From Hugh Jackman on His Surprising Hollywood BFFs and Mother’s Abandonment by Stephen Galloway. 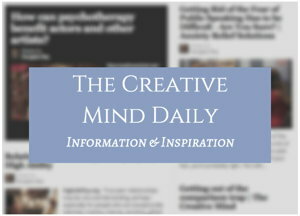 See quotes by and about many well-known artists such as Sarah Polley, Halle Berry, Lady Gaga, will.i.am, Jennifer Lawrence, Jonathan Safran Foer and many others, in my article Creative People, Trauma and Mental Health. Emma Roberts – like many talented actors – seems to be very confident on-screen, but a news article reported she’s uncomfortable performing in public. “And doing a music video is so embarrassing. I don’t think I’ll be doing [another] album unless I write it for someone else. I have stage fright. I can’t ever do theater because I would pee my pants,” she says, laughing. 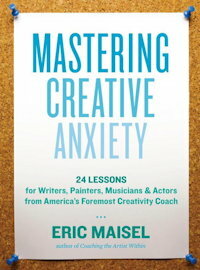 Book: Mastering Creative Anxiety: 24 Lessons for Writers, Painters, Musicians, and Actors from America’s Foremost Creativity Coach, by Eric Maisel, PhD. “It’s the particular anxiety that, paradoxically, keeps creators from doing, completing, or sharing the work they are driven toward. This ‘creative anxiety’ can take the form of avoiding the work, declaring it not good enough, or failing to market it — and it can cripple creators for decades, even lifetimes. But Maisel has learned what sets successful creators apart. The pianist images in my video at top are from this video: Motivational Strategies – Overcome Creative Anxiety. Related book: Making Your Creative Mark: Nine Keys to Achieving Your Artistic Goals, by Eric Maisel, PhD. Cyndi Lukk, a working mom, talks about the challenges of anxiety. Maybe you can relate. Then she talks about using the Undo Public Speaking Fear program. Emmy-Award winning screenwriter Neal Rogin talks about using this program, based on The Lefkoe Method, by Morty Lefkoe. “Why did I wait this long. Why didn’t I do this sooner?” Neal Rogin. One of the images of Morty Lefkoe in my video is from his TEDx presentation – posted in my article: Morty Lefkoe on how our strong feelings get conditioned. He is author of the book Re-create Your Life: Transforming Yourself and Your World. 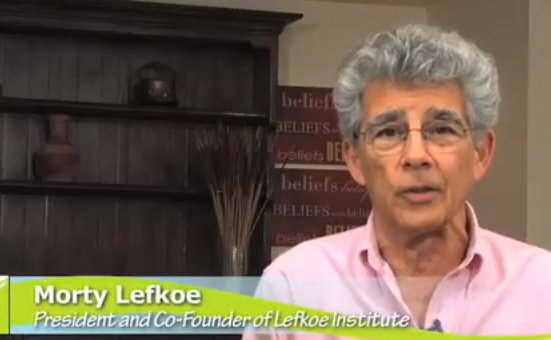 You can use The Lefkoe Method to eliminate at least one of your limiting beliefs, for free, at The Lefkoe Institute. Tips from speech instructor Steven D. Cohen, who “has delivered more than 75 courses and workshops on the art of public speaking. He teaches several speech courses at Harvard Extension School. Cohen’s book: Public Speaking: The Path to Success. Vocal coach Roger Love comments that even for actors, singing in public is scary. Love said confidence was a key for the actor. “I don’t know what kind of voice I have, I don’t know how to use it or anything like that, and he was just completely great and kind of always going, ‘This is going to be easy. 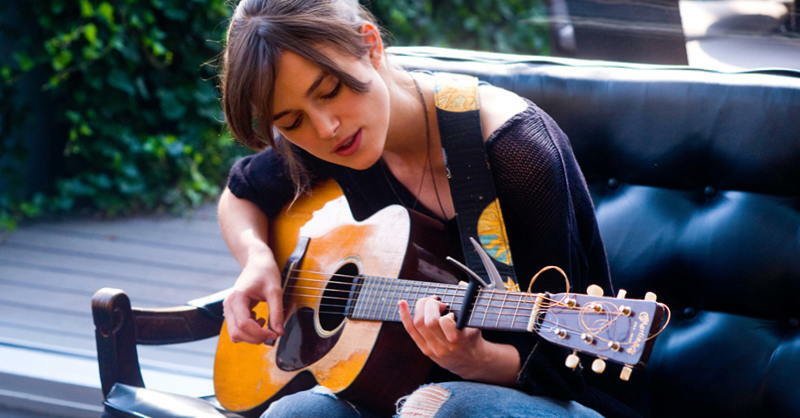 This is going to be brilliant,'” Knightley said. From article Vocal coach Roger Love helps put the sing in Hollywood performances by Haley Goldberg, Los Angeles Times June 25, 2014. 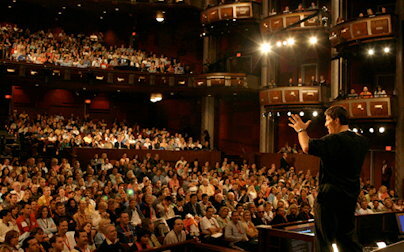 Roger Love teaches many professionals – actors and others – how to overcome fear of public speaking and create more confidence to improve communication. He has been the voice coach for the TV show “Glee” and instructed performers including Maroon 5, John Mayer, Mandy Moore, Tyra Banks, and well-known leaders such as Tony Robbins, John Gray and Suze Orman. “Do you know who Anthony Robbins is? Well, he’s an amazing presenter who orchestrated his own meteoric rise to become one of the richest men in the world. “Today, Tony’s motivational seminars and money-making programs have made him millions and millions of dollars. “Here’s a secret. Tony wasn’t always that successful, especially sound-wise. “A few years ago, Tony felt overwhelmed by his busy schedule, and noticed that it was taking a large toll on his greatest communication tool, his voice. “During a seminar, he’d feel tired and worn out, like he was straining to get his message across. No doubt, his audience probably sensed it, too. 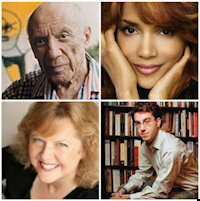 Related book: “Stage Fright: 40 Stars Tell You How They Beat America’s #1 Fear” by Mick Berry, Michael Edelstein, PhD. 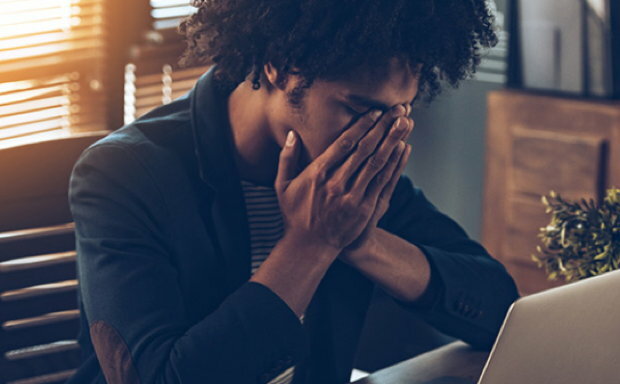 7 Easy Hacks To Help You Deal With Anxiety, by Catherine Pearson. One resource in this article is the book: The Worry Cure by Robert L. Leahy PhD. Performance anxiety: Biofeedback relieves stage fright.